Includes bolt, carrier, firing pin, firing pin retaining pin, cam pin and gas key. This product is completely assembled and ready to drop into your upper. 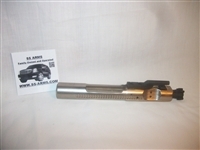 This Bolt Carrier Group is Nickel Boron coated and features a Carpenter 158 shot peened bolt. The gas key is hardened and secured with Grade 8 fasteners, and is staked per Mil-Spec. Includes bolt, carrier, firing pin, firing pin retaining pin, cam pin and gas key. This product is completely assembled and ready to drop into your upper. 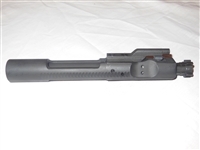 5.56 MM / 300 BLK Bolt Carrier Group is Nickel Boron coated and features a Carpenter 158 shot peened bolt. The gas key is hardened and secured with Grade 8 fasteners, and is staked per Mil-Spec. Contains small parts in bolts that are commonly used/replaced.